So you are new to the entire series and are struggling with the plethora of mechanics to play around with at your disposal. Alternatively, you are simply a returning veteran that has got his concepts mixed up after such a long time of inactivity or interaction with the series. Either way, we are here to help as we break down all the elements that you will need to get your head around in the opening first few chapters of the game. Even before you begin with the game, you are given a choice cementing the RPG-nature of the game later on. The two choices you will make or precisely speaking, the attributes you will opt for will determine your subsequent play-style and class. The first batch of choices includes Vitality, Wisdom, and Balance which affect how much Mana and Health bar you will start with. The former allows you the highest initial HP with the former giving you a lower one, with “Balance” being the middle ground between both the meters. Soon after, you will have to select one of the three classes: Guardian, Warrior, and Mystic. Depending on what you choose here, you will be awarded specific abilities that will focus either on defense, attack or on the utilization of magic in combat. You can learn all about these starting choices in a separate guide that we have put up. Being an open world at its core, the first tip that we would like to put forth revolves around exploration. When you interact with the world around you, you are able to obtain items that you can use to upgrade weapons, regenerate Health and Mana bars and cooking ingredients for other buffs. Most of the trading and upgrades to be applied to your equipment will be carried out at Moogle Shop so be sure to pay a visit there every now and then. 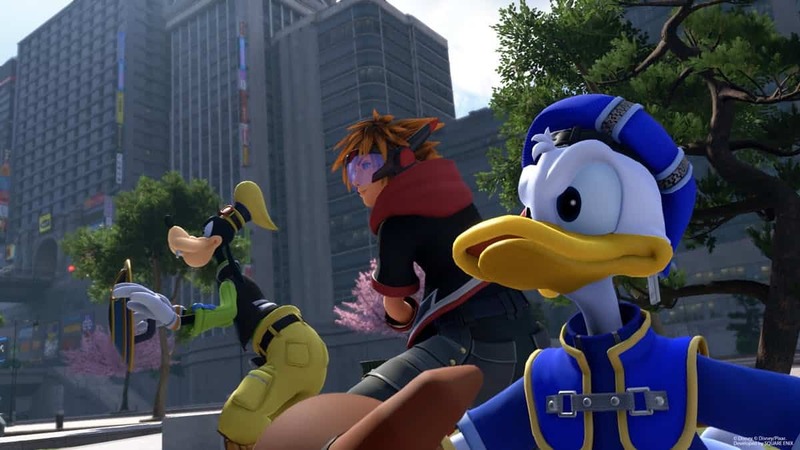 It is also important to note that when you are exploring the vast lands, all the main characters including Sora, Donald and Goofy will call-out and hint towards any of the collectibles or useful materials when they are in close proximity. So always, keep an ear out for any advancements. Lucky Emblems are one type of collectibles riddled around the world that allow you to unlock a Secret Ending among other rewards. Once you have discovered one, simply take a snapshot of the site with the help of your Gummiphone. When you are done with these Mickey Emblems, you can start working on scouting for the Golden Hercules Dolls which, early on, can be traded for valuable equipment easing your progression into the game. Stepping outside the collectibles territory, some materials that you will find on your journey will help you craft consumables and upgrade your armor, weapons and other equipment into powerful versions of themselves. These pertain to Synthesis Recipes and Cooking Recipes the materials for which you would often need to detract from the main path to acquire. Cooking is carried out at Bistro in Twilight Town where suitable ingredients are used up for the production of consumables. These cooked items can be utilized for buffs to your HP, MP, Strength, Magic and Defense stats. They will also grant temporary bonuses to your abilities. So get cooking with Remy! Do note that the ingredients for cooking can also be purchased from Moogle Shop. Exploration does not stop when you have walked the earth since the new features brought forth by the Gummi Ship lets you embark on space travels as well. Upgrading and enhancing these space vessels will prompt you to look for Gummi Materials or collect the blueprints by aligning the Constellation Photographs, ultimately allowing you to tackle opponents and explore the outer space more efficiently. Space travel is particularly important for collecting the in-game currency, Munny, reliably and consistently. 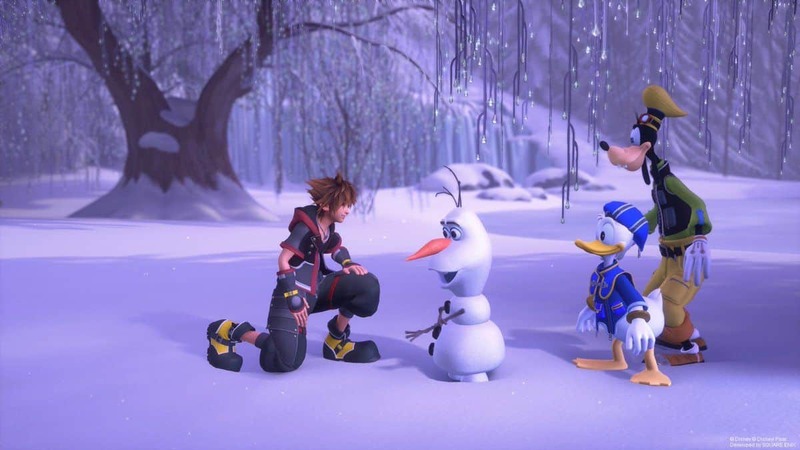 The sheer number of features and elements within the combat system of KH3 can sometimes be a bit overwhelming. There is often a lot to work with but to make the ordeal easier you can assign shortcuts so to use magic spells, healing items and other consumables in mid-combat. This is carried out from the game’s menu under the ‘Customization’ tab where after assigning suitable slots for the items, you can access them in the midst of a fight with the L1/LB button. Furthermore, you can also sign certain permanent tasks or adjust the AI of your party members via this same menu so you can use your ally strategically, just the way you would want to. Throughout your fight, you will also build up multiple special moves so always be on the lookout for that. Once the meter is charged, you can toggle between the special attacks and activate the desired one by the L2/LT or R2/RT buttons on the controller. When carrying out the special moves (which are like QTEs), time your button presses correctly instead of mashing it out. 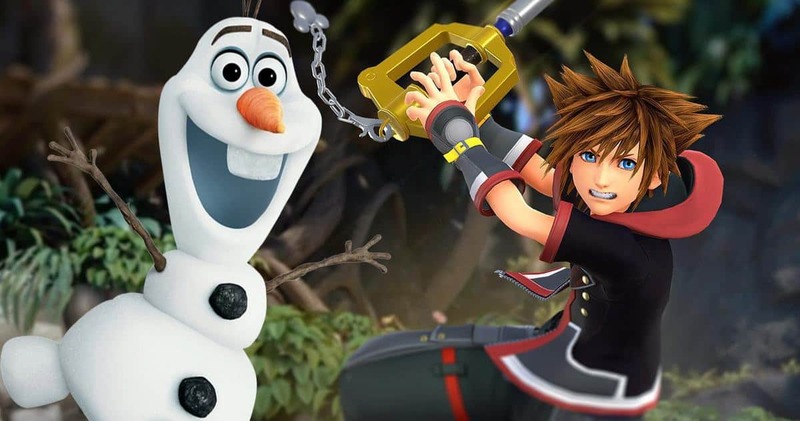 When it comes to actual fighting, you should know of the different types of Keyblades which are special weapons that can be transformed for extended combos and maximizing damage. All Keyblades have their own fixed initial values for the Magic and Strength, which can be increased to a certain degree via the upgrades at the Moogle Shop. Furthermore, each Keyblade comes with its own special perk like a boost to elemental damage or protection from getting stunned. In combat, you would also want to add some dynamism and get a hold of special abilities that award you the extra bit of versatility and strength in action. When you’ve met the Ability Points (AP) requirement for a certain perk, you’ll be able to acquire the ability for a range of effects including evasion techniques, damage potential, combo extensions, special counter attacks, and damage resistance. It is safe to say, these abilities add a layer of more depth to your combat and make it quite a lot of fun as well! 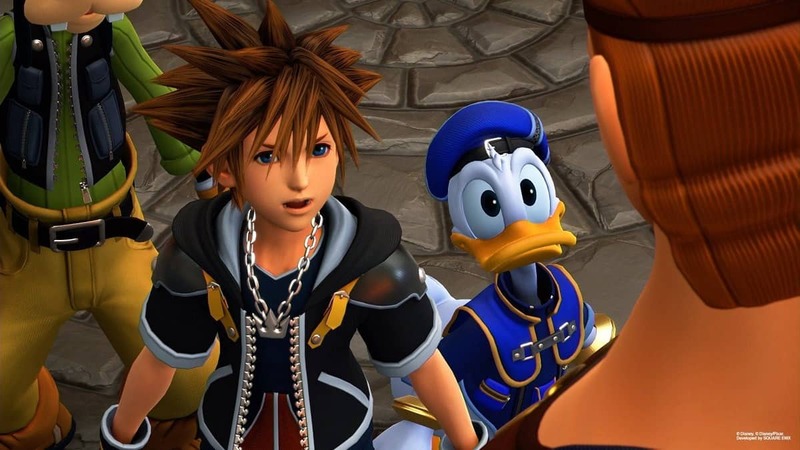 Though Goofy and Donald will always be at your service, some scenarios, especially in the cases of boss-fights, call for an extra companion who will turn the tide of battle. You can employ the aid of such allies by a Link Summon. 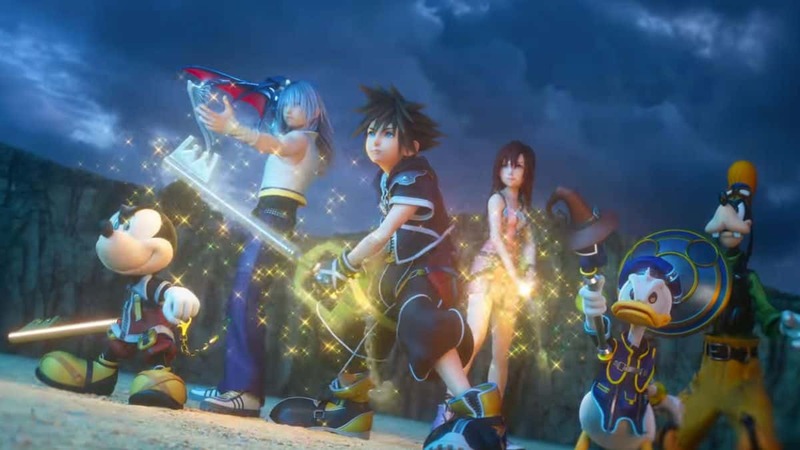 This feature regenerates Sora’s health to its max and will bring one of the five characters depending on the link used. Be it Simba’s fiery wrath or Ariel’s watery-fluid movement abilities, you will be able to inflict some decent damage on the battlefield by being partially in control of these characters. 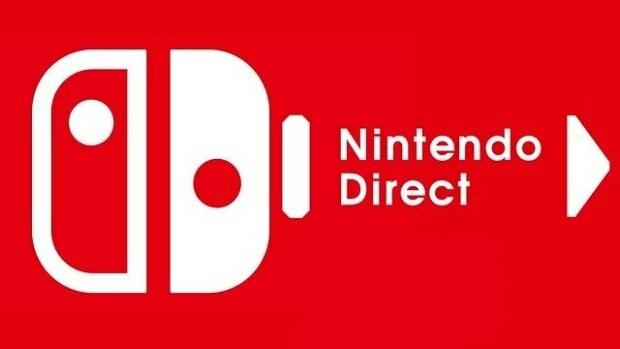 There is a lot of different settings and worlds to explore, exciting characters to meet, challenging tasks to overcome and menacing boss enemies to deal with. 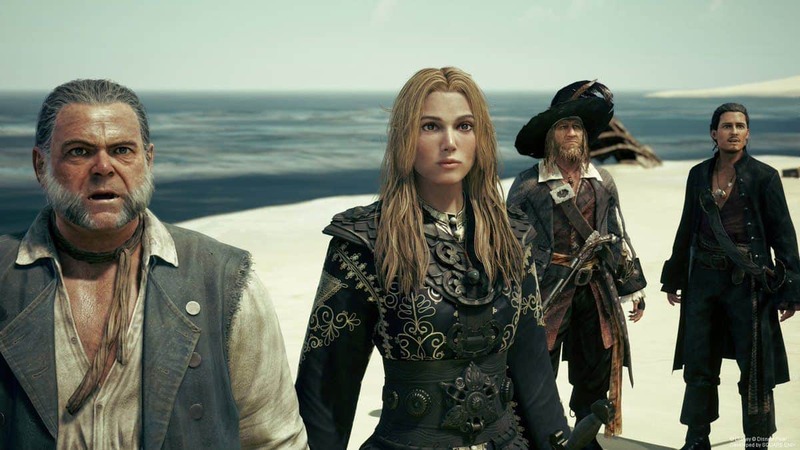 Though you would like to enjoy the game’s story and progression at your pace, here are some brief pointers to help you out on your journey. 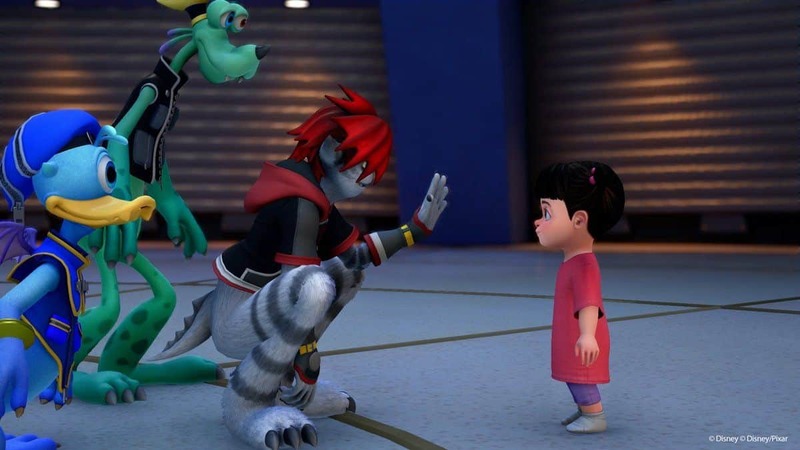 Fan-favorite Disney characters and worlds are all here in KH3. 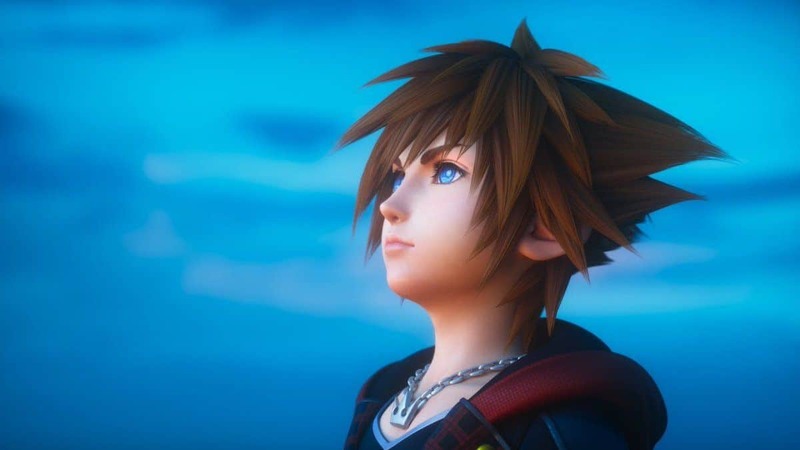 Apart from playing important roles in the lore of the game, most of the characters will introduce the player to a new mechanic like Remy from Ratatouille teaches you about cooking while Twilight Town equips you with the Gummiphone for photography-related challenges. 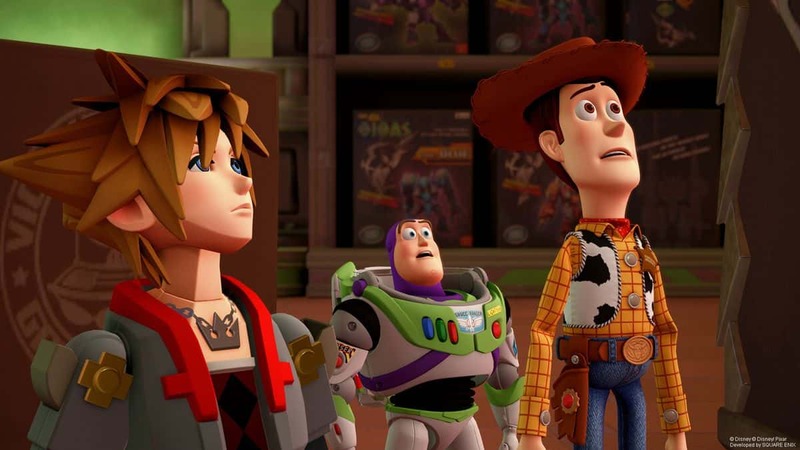 Furthermore, finishing the different regions and their respective chapters will allow you to unlock the different Keyblades as talked about above. Each world will also offer you a chance to play the specific mini-game that can be a lot of fun. About the story itself, newcomers will especially find the narrative a bit puzzling and overly complex at first. Even series veterans might not have fresh memories of their previous experiences with the saga. Therefore, the developers decided to put in the ‘Memory Archive’ in the game’s menu which are short summarized videos shedding light on the important plot points, significant historical events and characters that have or will play a major role in the game’s lore. Check that section out for whenever you feel “lost” about the game’s story. When you have finished picking up on the little foes that you encounter on your travels, you will come face-to-face with the mighty and tall enemies. These bosses, being 16 in total, will have different attack patterns and weak spots so a good understanding of their fighting style is important for devising a strategy on bringing them down. Most of the creatures will belong to a specific specie of the boss-enemy type. Learn all about these beasts in our detailed guide. The Gummiphone is not just for highlighting the Lucky Emblems around the worlds for the secret ending nor is it just for capturing the visual beauty and keeping a record of that. As you will get to know at Moogle Shop, you can engage in a side-activity by taking photos of specific geographical spots or landmarks and bring them back to the shop for decent rewards. These Photo Missions award you with the recipes for the different cuisines and dishes that you can begin to cook up at Remy’s.